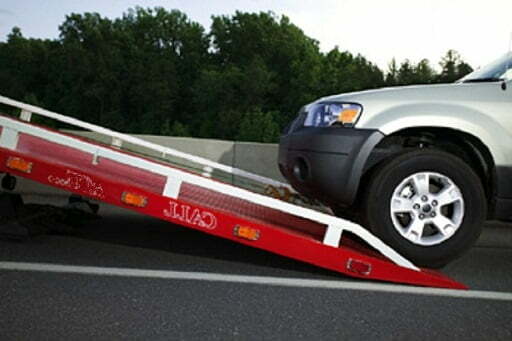 ​There are instances when a vehicle is simply in no condition for towing. They also can’t just be left on the road. The solution is to replace the tow trucks with tilt trays. Tilt trays are versatile, powerful equipment that sees use when towing isn’t an option. We have a fleet of well-maintained tilt trays, maintained by the best mechanics and handled by professional drivers. Our fleet of tilt trays come with varying capacities. Our smallest can handle up to 4.5 tonnes, while the toughest in the fleet has an impressive 11-tonne capacity. With these, we can handle lifting and carrying vehicles from small sedans to trucks, buses and camper vans, and even associated equipment. No matter the size of the problem, we have something in our tilt tray fleet that is up to the task and can be where you need it in a reasonable timeframe. We also have specialised tilt trays that can handle carrying more awkward vehicles. We can provide this service for forklifts, skid steers, and other heavy equipment. We make sure that all our equipment is well-maintained and all drivers have the appropriate permits. Everything is certified and cleared for oversized movements and use. When you call us, you can feel confident that you are getting reviewed, approved service. Finally, we also offer a motorcycle truck service. Much like cars, a motorcycle might find itself in a roadside accident and in no condition to be moved off-road of its accord. In these instances, we can send in our vehicle to get it out of the problem area quickly, with minimal hassle. We handle these tasks with professionalism and efficiency. We guarantee that we will get things done in the least possible amount of time, but we won’t rush through things. If you need a tilt tray or a motorcycle truck, don’t settle for anything less than the best. No matter your machine, whether BMW, Yamaha, Honda, Ducati or other, don’t leave it stranded. Have an expert team come and look after you. We are Perth’s premiere tow truck service after all, and our motorcycle towing is just a reflection of that. We promise to look after your two-wheel machine with the most upmost care, ensuring no ding, dent or scratch will be inflicted. Contact Perth Towing Service today for your motorcycle towing needs.